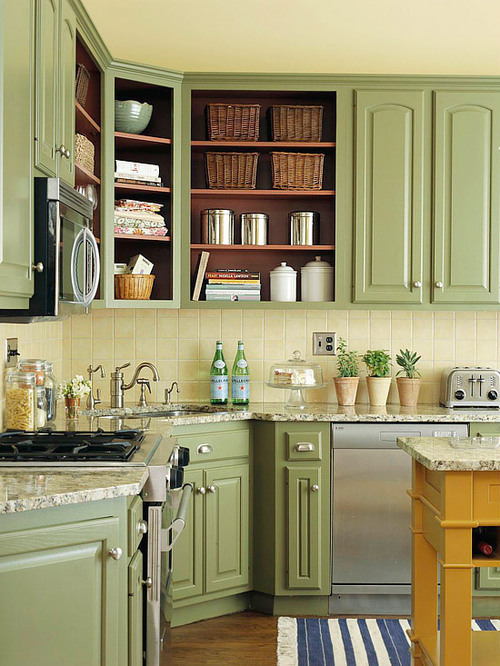 The complete renewal of a kitchen is one of the more expensive operations. 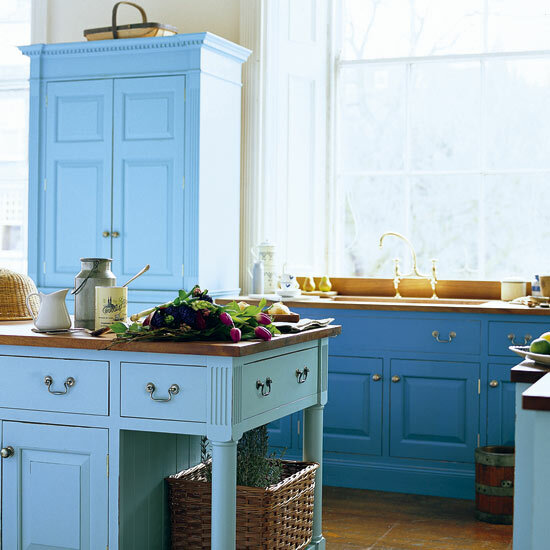 When we buy a new flat, the kitchen furniture is generally not fitting to our expectations. Not only the age can be the problem, but also the style or color. What can we do if we cannot afford large expenses, but still we would like a new kitchen? The best situation is, if the furniture is made of wood. It can be painted to any color easily. First the surface must be sanded thoroughly. After a layer of primer paint, the final paint can be applied. For laminated or plastic covered chipboard, there are also paints available, with which they can be revamped. Doors can be decorated with moldings. A carpenter can cut and fit these to their place – we have just choose and paint the moldings to the color of the furniture – or to any contrast color as well. Wooden door panels can be removed and the carpenter can carve any pattern in them upon our need. This provides a little more classic feeling to the kitchen. 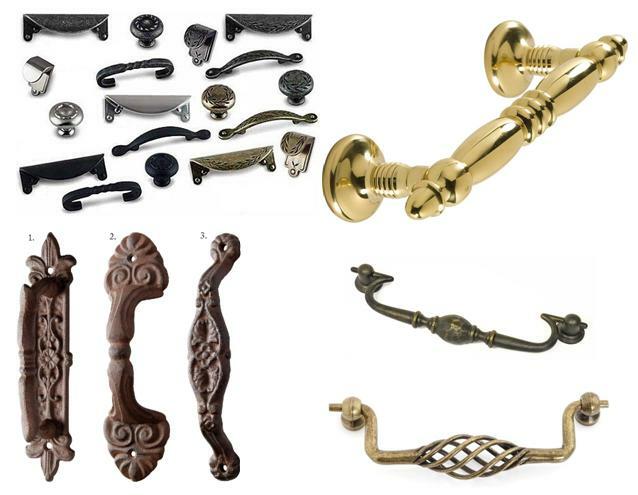 The fastest and simplest way to refresh the kitchen furniture is changing the handle knobs. The best if we can purchase knobs with the same hole pitch. There is a large palette of different colors, shapes and materials. 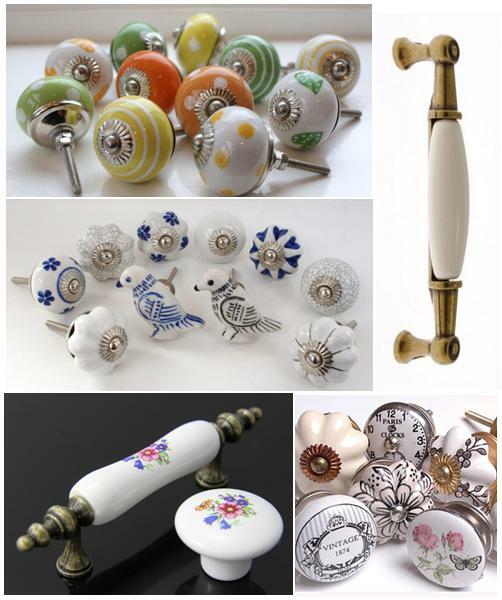 Using patterned porcelain inlay or wrought iron (like) accessories, a vintage feeling can be realized. With copper or white porcelain, the result is more classic. If we have no opportunity to change the wall and floor tiles, as a temporary solution, we can use a carpet fitting in color. Changing the water taps, implementing new blinds to the window (e.g. : Roman blinds), or purchasing decorative storing facilities mean low cost, but brings a great change. A real classic and spectacular view can be reached by using a smaller chandelier. If you are not certain in the required changes in your kitchen within the budget available, consult an interior designer before beginning.